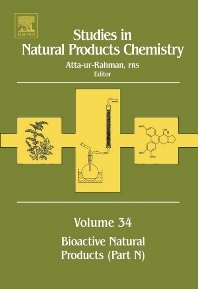 This volume presents frontier reviews on recent developments on bioactive natural products in cutting-edge areas by eminent experts in their respective fields. Fourteen reviews treat diverse and different topics in natural products chemistry - basic ones, medicinally oriented ones, agro-oriented ones and ecologically oriented ones. It is an important addition to this important series on Natural Products Chemistry, generally acknowledged to be the leading series on this topic. Natural product chemists, medicinal chemists, pharmacologists as well as researchers particularly those in academica and in the pharmaceutical industry.